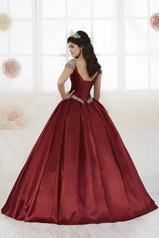 This dramatic Ball Gown features a corset bodice with lace up back. 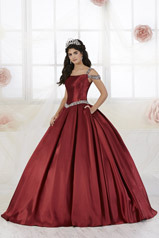 Shoulder double straps and waistline is crystal beaded for a touch of sparkle. Box pleats and side seam pockets complete this look.